This method will let you add one or more files from a single directory to your project. 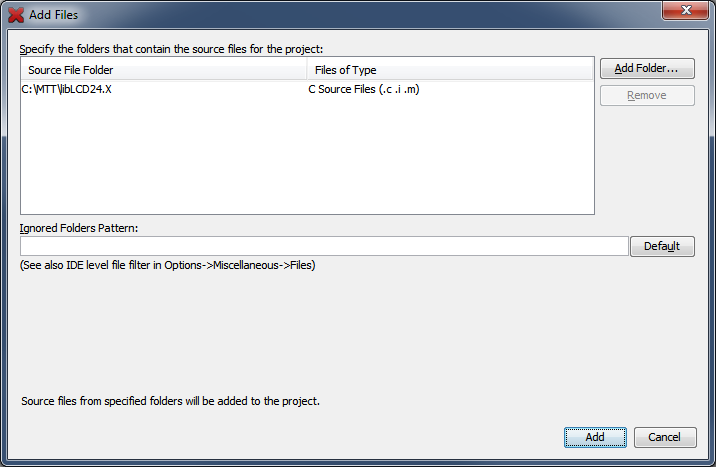 There is a faster method if you wish to add all files from a directory to a project. 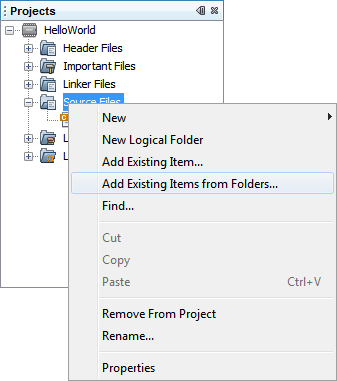 In the Projects Window right click on the logical folder where you want to add a new logical subfolder containing the new files. Select Add Existing Items from Folders… from the popup menu. Click on the Add Folder… button. 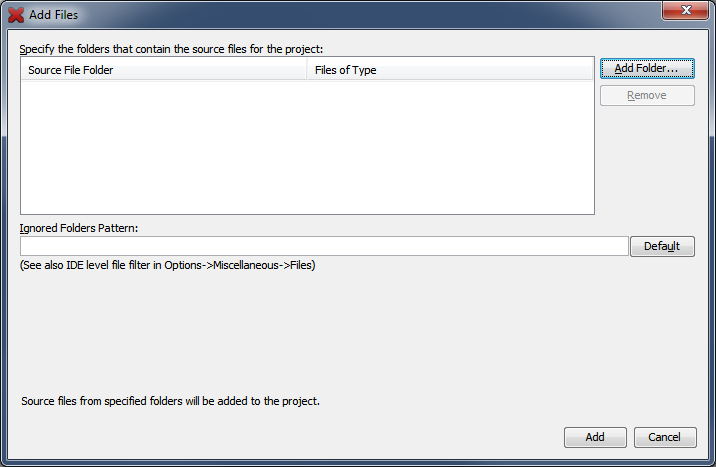 Select a folder that contains files you want to add to the project. The folder need not reside in the project's directory. You can navigate to other directories if necessary. After selecting all the folders you want to add to the project, click the Add button. 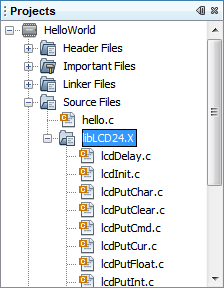 You should now see the folder(s) you selected as logical subfolders in the Projects Window. Inside the folder are all the files it contained. 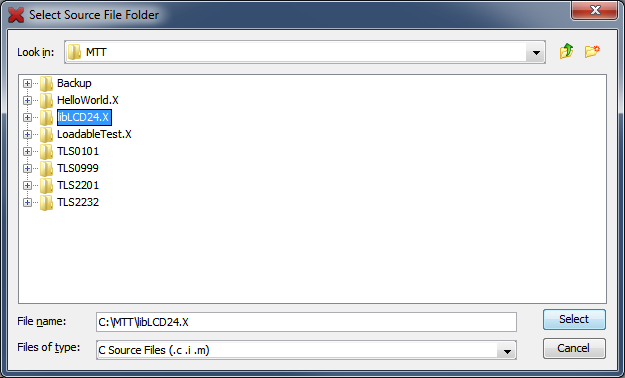 If the original folder on the hard drive contained subfolders, those will be added as logical subfolders as well. If they don't contain any files you need for the project, it is safe to remove them from the project.